The John Fee Embree Endowed Scholarship was established to honor the late Asia scholar, Professor John Fee Embree. 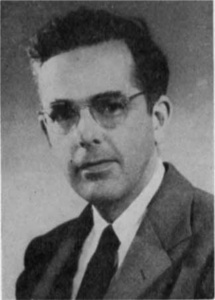 Dr. Embree served as Professor of Anthropology at the University of Hawaii in 1937–41 and during World War II in 1943–45. He was also Associate Professor of Anthropology and head of the Japanese area studies of the Civil Affairs Training School for the Far East which the War Department set up at the University of Chicago for the training of military government officers for Japan and the Occupied Areas. He was Associate Professor of Sociology and Research Associate of Anthropology at Yale from 1948 to 1950 and, later in the year, was appointed the university’s Director of Southeast Asia Studies. The scholarship is earmarked to assist graduate students in anthropology or sociology who are concentrating their academic work on Southeast Asia related studies at UHM. Note: This scholarship was not available for the 2015 – 2016 academic year. It was available again for the 2016 – 2017 academic year. It was not available in 2017-18. It was available in 2018-19. It will be available in 2019-20. Please email us at cseasweb@hawaii.edu if there are any corrections that need to be made. This endowment was established by Albert D. Moscotti in honor of his parents, Anthony and Amy Moscotti. This fellowship is to assist full-time, classified graduate students in a degree program at UHM in any department or program in the arts, humanities or social sciences whose area of focus is Southeast Asia.